And that’s just the reaction Perkison, founder of Studio Perk, was hoping for. When she bought this home with her husband and set upon remodeling it, the goal was to use only the most sustainable materials possible. The results were stunning, of course. 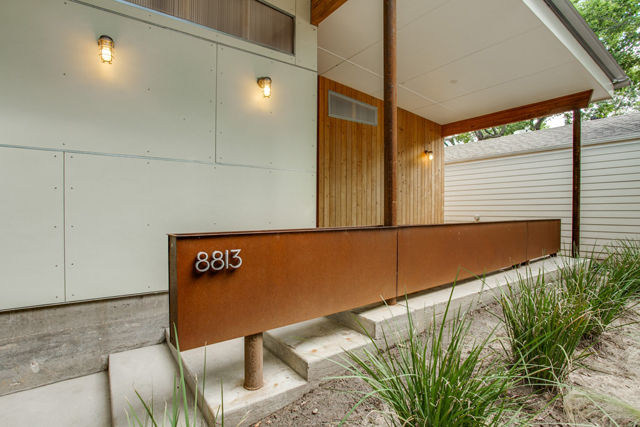 Mark Martinek is the designer behind MOD Construction, a firm that designs and builds modern, eco-friendly homes. I’ve always been in love with these properties, how they evoke the same kind of shapes popularized during the 50s, but had facades and materials that were grounded and unique. If you’ve also been lusting over Martinek’s designs, then you won’t want to miss this property from Virginia Cook agent Ed Murchison. 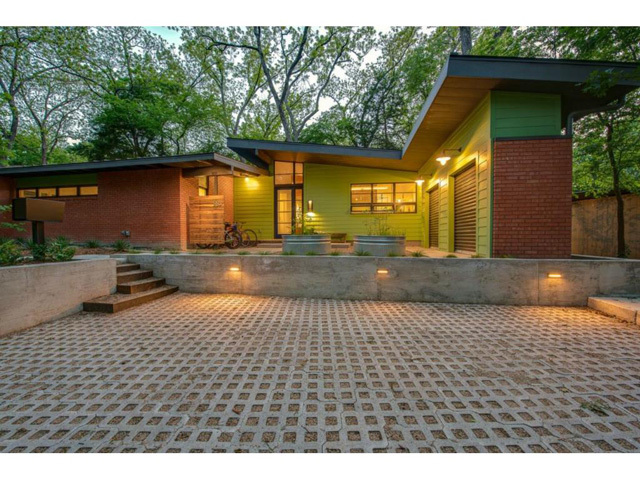 Located on a fun, rolling street in the funky East Dallas enclave of Little Forest Hills, this home is such a delight. Of course, you’ll have to act fast because it hasn’t hit MLS yet. 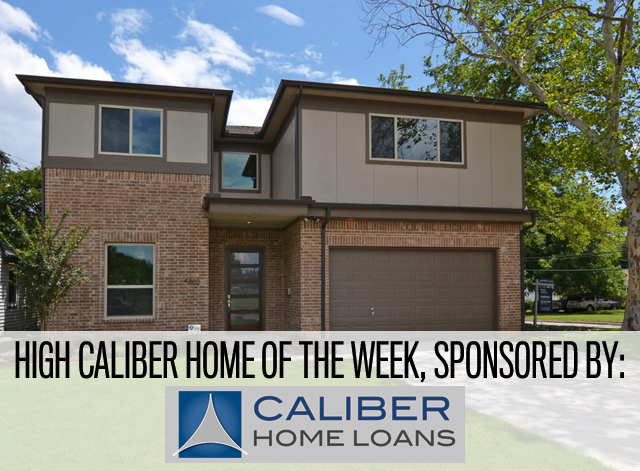 A high-caliber home like this one means you won’t want to waste time with your pre-approval before submitting your best, highest bid. 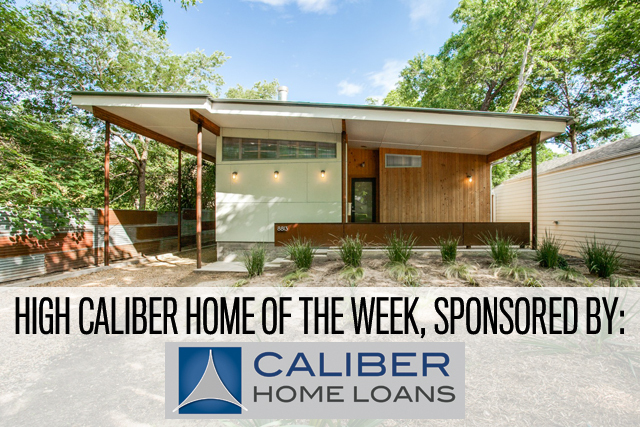 Call Lisa Peters at Caliber Home Loans so that you won’t have any hiccups. 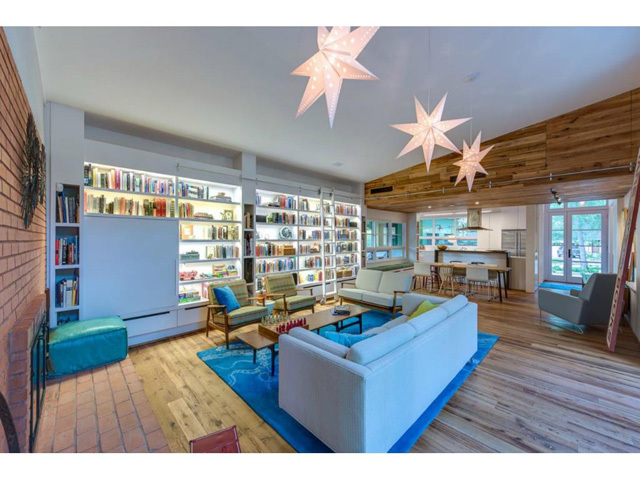 Jump to see inside this incredible home!